Driving doesn't seem like a life-threatening activity because you’re essentially just going from one place to another. But even when you’re already at your destination and parking your car, an accident can still happen. Doesn't matter if it’s a minor accident or not but the point is, as a car owner, you’d want to avoid it as much as possible. Not only because your life and others life can be put at risk but also because it may mean hefty car repair cost as well as other damages. So if you start noticing any of these problems. Stop hesitating and take your vehicle to your mechanic right away. Tires heat up and wears faster on long trips, add that to a hot weather and you’re a sure candidate for blowouts. So you better see to it that you’re not driving with really worn tires, if you are then replacing them before you leave is a must. Doing visual inspection will also keep you aware of wear, cracks, slipped belts, bulges or other abnormalities when it comes to your tires that can affect your driving. 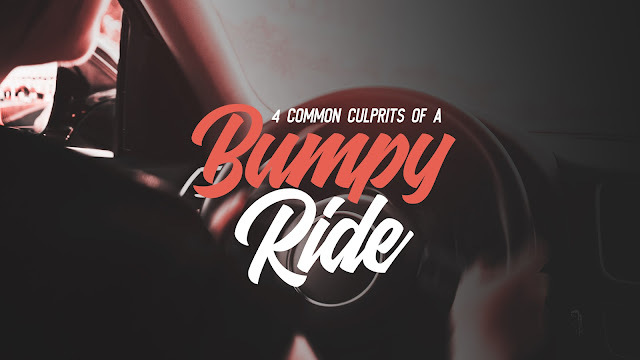 If your car is bouncing a lot before stopping, you’re experiencing especially harsh impact when driving over potholes and bumps, or if you notice the vehicle leaning to one side then you’re most likely dealing with suspension problems. Go and visit your trusted car servicing center to get your springs checked out and whatever repairs or replacements to be done. When it comes to transmission, you want it to go into gear like it should without any delay or difficulty. Otherwise, you’ll really feel bumpiness while driving like you’ve never before. Don’t let this problem go unattended for too long if you don’t want to spend on an expensive new transmission. Brake pads are the ones that grip the rotors so that the car slows down or come at full stop when you hit the brakes. On the other hand, the rotors are the surface that the pads rub against. If these two are too damaged, it could not help slow or stop the car while you’re driving which can be a great risk to your life on the road. Do not underestimate odd smells in your car. More often than not, it’s not just because of dirt that you haven’t had the time to clean. This usually indicates that something is not right with your car, especially if you’re getting a burnt smell. Moreover, these odors can not only be irritating but also harmful for your health. So try to pay more attention to your car when it starts giving you all these odd smells and act accordingly. Here are the usual culprits behind the smell your car is giving off and what you can do about them. The distinctive smell of mildew flooding out of your air vents is usually caused by a buildup of bacteria and mold. This can happen to older cars that have had bacteria growing behind the dashboard for years and in cars that rarely run the air conditioning, as they don’t enjoy the drying effects that it provides to excess water on the coils. So if you do your own car cleaning, make sure you clean your car AC vents too. Moldy or mildew smell is often due to A/C evaporator. But sometimes it can also come from leaky heater core especially when you see fog on the inside of your windows or water leak if the fog is accompanied by a musty smell. Strong indication of this is when your seats and carpeting are also wet. Spilled drinks or food you had while driving creates odor that can really make your head hurt. Everyone is guilty of eating in the car because of busy schedules this can’t be helped. However this is one downside of that. So if the smell that’s bothering you smells like spoil food, check under the seats first. There’s a fair chance your groceries or fast food that fell managed to roll under those. While you’re at it, you might wanna do an overall check for snacks that may have been in there for a while or any trash that causing foul odor and start cleaning. If you don’t have time, you can always take your vehicle to car servicing here in Singapore for a thorough car cleaning. Dribbling oil on the exhaust manifold won’t just cause bad smell but can also create thick blue smoke which often indicates that the leak is really bad. They key is to find out why you’re having oil leak and where it’s coming from to get it fixed accordingly. If you have no idea how to do this yourself, you can always seek car servicing here in Singapore. If you haven’t had any sweet drink or food in your car and accidentally spilled it but you’re getting a sweet scent it’s probably your antifreeze. If the smell is concentrated inside the vehicle accompanied by a filmy fog form on the windshield when the heater is on and you’re seeing antifreeze on the floor inside your car, you’re looking at the heater core. You might want to look for car heater alternatives if bypassing the leaky core would be too much on your budget at the moment. New car smells are sort of poisonous; it is not something to be idolized in the form of a scented tree. 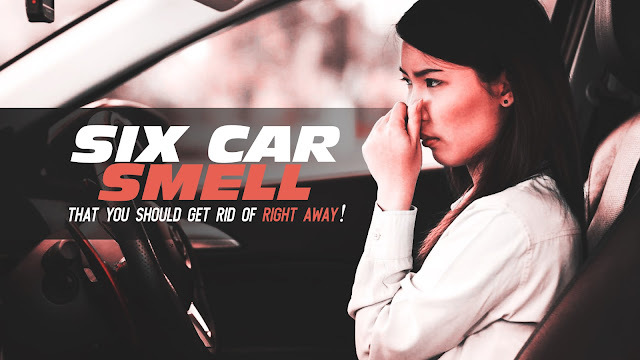 Those so called “new car smells” are called Volatile Organic Compounds (VOC), and they are the same smells common in refinished rooms and new houses. Carpet glue, chemicals from making vinyl, drying paints, and hardening plastics all do something called off-gassing. You really don’t want to breathe that stuff; it’s one of the things that causes sick building syndrome, and it is potentially carcinogenic. However, don’t make the mistake of using an air freshener in an attempt to eliminate this odor. Using air fresheners doesn't eliminate the foul odor, what it does is overpower that smell. So the bad smell is still there but it’s simply being masked by the air freshener. The problem is that the scent that air freshener produces, though pleasant, can be dangerous to your health because they’re made up of chemical compounds. So you’re practically just layering another smell that’s just as harmful. You can make your own air freshener but if you’re not interested in air fresheners and you simply wanna get rid of the awful car smell, you can use coffee beans or baking soda. They may not make your car smell flowery or fruity or those kind of smell that store bought air freshener produces, but they absorb bad car scent. If your car is carburetor it’s normal to smell a hint of gas but if your drive fuel injected vehicles you shouldn’t be able to sniff any. So, getting a really strong gas odor should send you into investigation mode to look for the culprit because this smell is not good in any way. Leaky fuel lines, stuck injectors, bad fuel pressure regulator, and other issues can cause leaks which can get to the entire engine and brings raw gas scent. Take your car to car servicing right away when this happens to get the problem fixed. Your car runs on six types of fluid that does different jobs in order to keep your car in good running condition. But like any fluid, they’re not permanently there as they need to be topped up and replaced every now and then because otherwise they will deteriorate and have opposite effect to your car. One of those fluids is the coolant which allows your engine to maintain safe temperature while running. So you can’t deny how important this fluid is for your car. Learn more about engine coolant and keep your car and your wallet free from avoidable car repair expenses. If you follow your preventive maintenance service schedule, then you’re most likely up to date when it comes to your coolant checkup. But you should also take your driving distance every time you drive into consideration. So to be safe, it’s best to do it once every two weeks. That may sound too often since coolants typically lasts longer than that, but you’d be wise to check still to see if there’s a leak. This is often the reason why your car overheat and your fuel economy gets affected if you run on little to no coolant too. 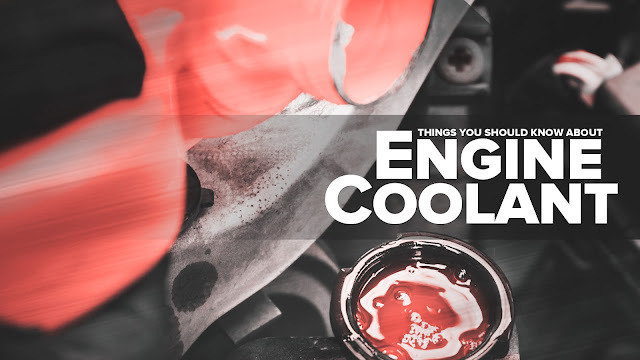 So now you know how often you should be checking your coolant, you’re probably wondering how to figure out if it’s time to change your coolant. Well, if you have a modern car, it is usually advised to flush it out every 10 years or 160, 000 km. Check your user manual to confirm it because it may still depend on the vehicle you drive, the brand or type of coolant you use, and the distance you cover over a period of time. It’s important that you adhere to the suggested coolant change interval as it may cause your car to overheat at a maximum level if you don’t. Coolant becomes acidic when left in the engine for a very long time. When your coolant becomes acidic, it would no longer keep rust from attacking your engine. Rust on the insides of your engine spells out disaster, as you could face more expensive services just to save your engine from dying—for good. However, it isn’t just your engine that’s at stake. Coolant also keeps your radiators from corrosion so you’re also putting the components of your cooling system at risk. For whatever reason that you fail to change your coolant or haven’t checked on it for a while, you may start noticing problems in your car. Pay attention to these signs to hopefully get it fixed right away and reverse the damage early on. Your car’s cooling system is what’s keeping it from overheating. So when the cooling system’s running condition becomes less ideal due to leaks then your car run the risk of overheating. This is why it’s always advised to fix even the smallest leak as soon as possible in order to avoid overheating and possibly an expensive car repair. The coolant, as the name suggests, helps the radiator to cool down. However, when there’s a leak or crack in the radiator, you’ll see coolant leak on the floor underneath your car, since the coolant flows through the radiator. While it may smell nice, this could actually mean engine coolant is leaking from a component related to car’s cooling system. Just remember not to touch the radiator cup when it’s hot in attempt to check what’s wrong. If the level is below the minimum line, top it up to the maximum line and monitor on a daily basis. If you have to top up the coolant reservoir each time it is checked, this could indicate a leak. If it seems that you vehicle is always low on coolant then it’s reasonable to suspect that your radiator have gone bad or at least failing. Think car maintenance and car servicing are an unnecessary expenditure? Think again! Because by keeping your car in good running condition means not needing to buy a new ride after every couple of years, not spending money on major car repairs due to malfunction, and more importantly avoiding hospital and damage expenses in case of an accident because of malfunction too. The more you keep its maintenance up-to-date the more your car’s condition is restored therefore prolonging its lifespan. With that, you’ll be able to enjoy your car longer than it would if you just let minor damages turn into unrepairable ones due to neglect. Road trips are fun and exciting! It’s a great way to explore new places while gaining a lot of benefits like being able to sharpen your mind, seeing things in new and brighter way, building your confidence to try new things and get out of your comfort zone. 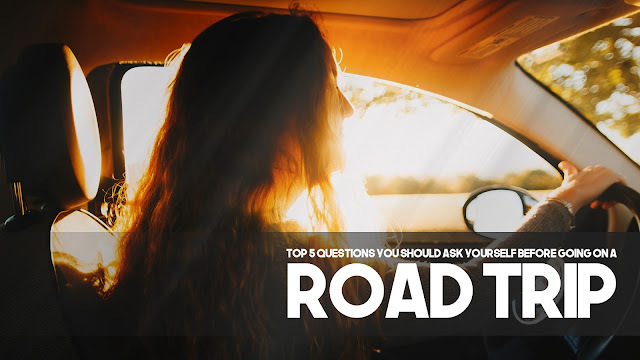 But the question is, are you fully ready to go on a road trip? To make sure you get the best out of your travel experience and that you’re prepared when unexpected things come your way on the road, here are the questions you should ask yourself before you even start packing. 1. Do I Know How To Change A Flat Tire? A flat tire is one of the simplest road troubles that you should expect especially on long drives. But then, even if it’s pretty easy to change a flat tire, the question is do you know how to do it? Don’t assume you can always find someone to help change it for you. So better learn this essential skill before you find yourself in a middle of nowhere with a flat tire. 2. When Was The Last Time I Had My Car Checked? If you can’t even remember, then chances are it’s been a while. If this is the case, take your car to your trusted car servicing shop for repair and maintenance as soon as you can before your trip. This should ensure you that you vehicle is in top condition and lessen your chances of car troubles when you hit the road. 3. Do I Know The Emergency Hotlines? Even the most prepared and careful drivers out there get into trouble because of circumstances that are out of our control like the weather. If you get caught up in such cases, you better know the hot lines of proper authorities to call for help. 4. Do I Have Car Tools? It’s great to learn basic car repairs so that you don’t depend on mechanics every time something needs to be done on your car, especially if you’re on the road. However, having the skills is only half of the solution. You also have to have necessary tools to actually do the repair! If you don’t have tools, maybe it’s time that you buy them. 5. Do I Have A Copy Of My Car’s Documents? In case you run into a problem, you can easily present all the necessary documents to the authorities. These include the original and photocopy printouts of your car's official receipt, car registration, insurance form, and driver's license. 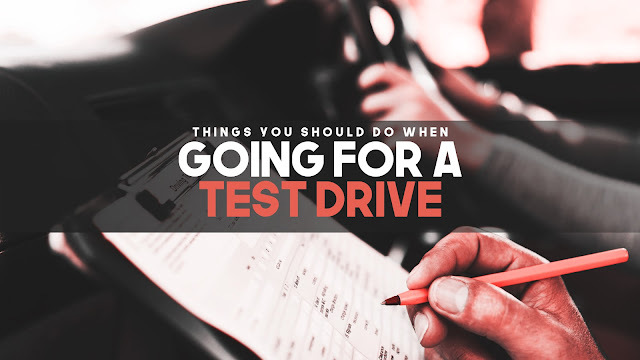 A lot of people, especially young new car owners, would prefer driving an automatic not only because it’s more widely known and used nowadays but also because it’s almost effortless to drive which means you get a smooth ride. However, just because it’s easier to drive an automatic doesn't mean you won’t get problems with it if you don’t drive it properly. So to make sure that that doesn't happen, here are the things that you definitely shouldn’t do while driving an automatic. When your gear stick is engaged to P (Park) what happens is that, it stops the transmission from rotating which prevent your car from moving forward and backward. Do that while the car is in motion and you risk damaging the locking pin that locks up the automatic transmission. This is why it’s never a good idea to engage P when you’re still moving. The same thing when you’re at a stop light, you still shouldn’t engage P. This is because you’ll have to go through R (reverse) and N (Neutral) before you can shift the lever to D (Drive) when the light turns green which takes a lot of effort for the vehicle to do. Aside from that, when shifting from P to D, sometimes people accidentally engage to either R or N which could be a problem when you’re on a bumper to bumper traffic situation. You've probably heard the unwritten rule of not putting your car on D at a stop light in order to avoid wearing out the transmission. While that may make sense, sometimes putting the vehicle in N at a stop light can be a problem too. How so? Well, people tend to forget things, even actions that they just did like going Neutral at a stop light. As a result, they end up revving the engine to no avail when the light turns green which waste fuel when doing so. This is why you may want to keep the gear in D, even at stop lights, unless you’re really going to a full stop. Some drivers who are parking their vehicle tend to change gears even while the vehicle is still in motion. 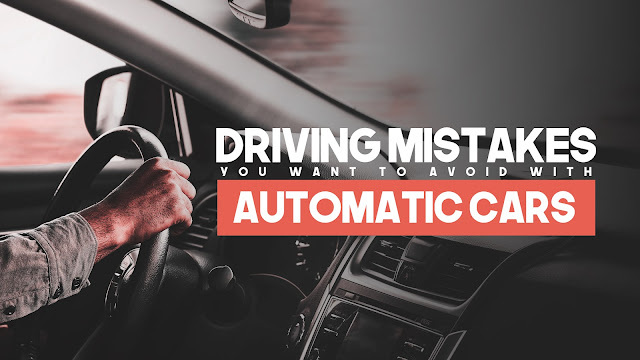 Switching gears while the vehicle is moving is a habit that you should break because this can damage the vehicle’s transmission. If you want to shift from D to R or vice versa, you should wait for the vehicle to stop moving before doing so. Putting your gear stick in N limits your control over the car. So while coasting in neutral to save gas is a good thing, you should prioritize having full control of your ride while moving which only happens of your gear is in D because this allows you to react faster and safer. 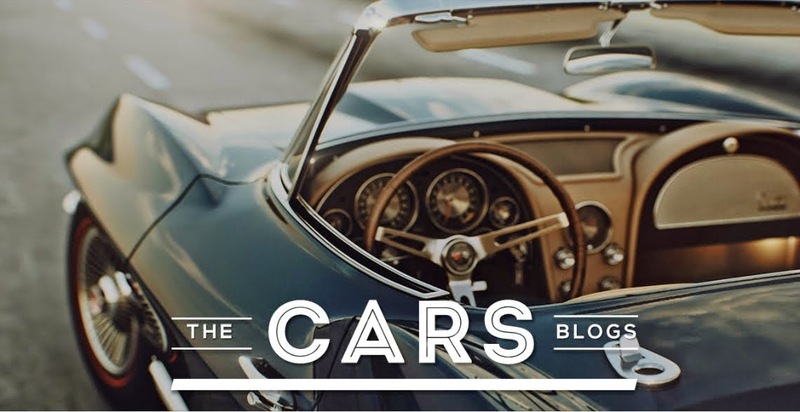 Besides, most modern automatic cars nowadays are designed to be fuel efficient even if the gear is in D, so there’s really no point in compromising full control over your car while driving. In a nutshell, ‘launching’ is accelerating a vehicle from standstill, similar to drag racing. This works by revving your engine while the gear is in N and dropping it into D to launch the vehicle forward. While this may amuse your friends, launching an automatic car is not a good thing because this will wear out the bands in your transmission. You may look cool for the time being doing that, but you may end up with pricey car repairs in the long run. It’s not worth it dude. Majority of cars today are automatic. So if you’re looking for a specific car, it’ll be easier to find if you prefer it over manual. Also, shifting or using the clutch pedal will be the least of your problems. Considering that shifting isn’t an issue with automatic transmission car, you can rest assured that you’ll have a smooth ride. However, with a complex system, a lot could go south on you which of course means maintenance will follow. If you don’t mind not having the “hands-on” precision drivers usually get with manual, then this might work for you. And just like everything else in life, innovation comes with a price. Be prepared to shell out more cash if you prefer automatic transmission cars. So, you’d really want to avoid these mistakes to avoid unnecessary repairs and expenses in the future. How many people nowadays even check if they have enough fuel or replenish the water in the windshield washer bottle? A quick car safety inspection is always recommended every time you use your car but no one hardly do it even when going for long trips. 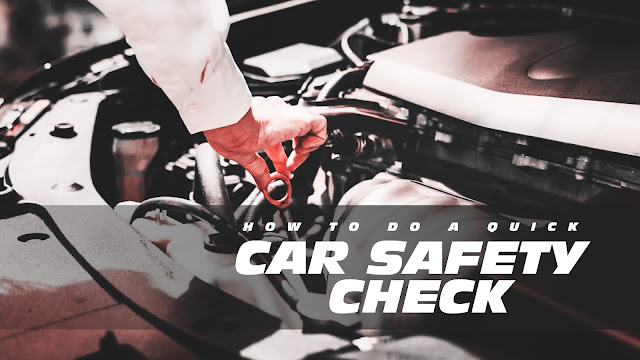 What many people don’t realize is that spending a couple of minutes doing car inspection could prevent a lot of road mishaps or get you out of one with minimal injury and damages. If you don’t wanna be the one ending up sorry later and have someone telling you I told you so, make it a habit to at least do the following whenever you’re taking your car out for a ride. Tires heat up and wears faster on long trips, add that to a hot weather and you’re a sure candidate for blowouts. So you better see to it that you’re not driving with really worn tires, if you are then replacing them before you leave is a must. Doing visual inspection will also keep you aware of wear, cracks, slipped belts, bulges or other abnormalities when it comes to your tires. Moreover, don’t neglect your spare. If you have a properly inflated spare then you can change your own tire when the need arise and save you tow bill or road service call. Since you’re already kneeling by the tires, then might as well take a quick look under to see if there’s any oil or coolant leak. Your car windows and mirrors help you see the road clearly from all necessary angles. So don’t underestimate their importance. All you have to do is make sure they’re clean and not blurry from dust and dirt and if there are no cracks as those things can affect visibility. As mentioned above, visibility is vital when you’re driving, so if your windshield wipers are failing already then replace it. To see if they’re still good, you just need to run your fingers along the rubber part to make sure they’re still supple to touch. If they’re hard then it’s time for replacement. Don’t wait until you’re driving on a rainy day and the wipers can’t clear the windshield before you realize how important it is not just for car grooming but also for your safety. It’s worth checking the windscreen washer works too. While learning to change your fluids is a different thing, you should at least know how to see if you’re running low or it needs to be changed or if there’s a leak. Clutch fluid, which is often the same with brake fluid, coolant, windshield wash and power steering fluid should be at appropriate level, especially if you’re going on a long ride. Otherwise you’d be risking accident or breakdown on the road. Sit in your car, turn each light or signal and have someone see if they’re working or not. Don’t settle with blinking lights; if they’re not fully functional replace the bulbs. Don’t wait until it’s time to go before you do this because it takes time. Bringing spare bulbs for each light won’t hurt either, just in case. Not to be too morbid but your seatbelt is the only thing that’s keeping your head from smashing onto the windshield and be thrown completely out of the vehicle in case of a collision. So always check of it locks properly and give it a tug to see if it still has a good resistance. Driving doesn't seem like a life-threatening activity because you’re essentially just going from one place to another. But even when you’re already at your destination and parking your car, an accident can still happen. Doesn't matter if it’s a minor accident or not but the point is, as a car owner, you’d want to avoid it as much as possible. Not only because your life and others life can be put at risk but also because it may mean hefty car repair cost as well as other damages. So, aside from investing in a better car complete with the latest safety features like front crash avoidance system and active blind-spot detection system, it helps to perform quick check before going out to see if there are any problem that may lead to an accident on the road.